The first true redesign of the PC since inception. Demo units are here! But quantities are limited. Don't miss out on your chance to test the C5 in your application. Register today for a free trial unit. 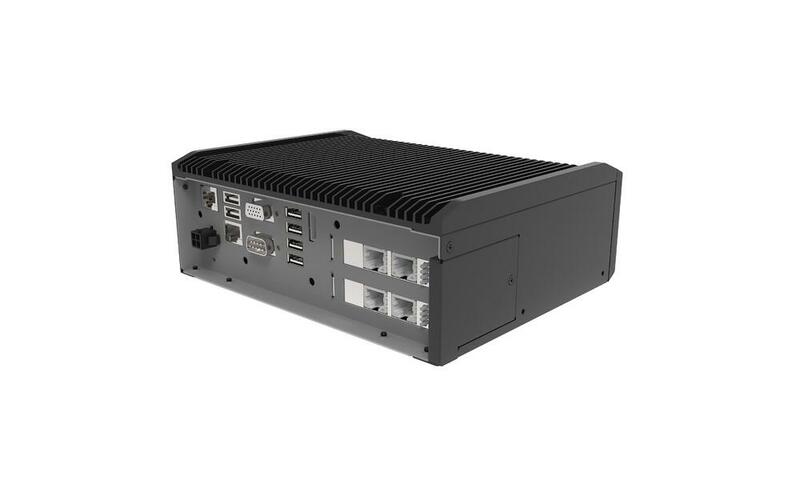 The new C5 Expandable Box Computer from Contec is leading the way for a new class of connected devices. Powered by groundbreaking, new Intel® Compute Card technology, the C5 offers unique features like Customer Enabled Servicing™ and Dual Mode Operation™ to transform the traditional service and support model. The result is a simplified service and support process which can reduce repair costs, lower inventory, shorten downtime and extend the life of your investment. State-of-Art hardware-based security uses electrical isolation to deliver the highest level of security available today. Checkout what people are saying about the new C5 embedded computer. "Contec has taken an Intel Compute Card and given the kiosk industry a flexible, upgradable and connectable solution." "The most compelling product we've seen in years." "We love the dual security modes and locking door." Ready to see how the C5 performs in your application? Demo units are here! But, quantities are limited are we already have a waiting list. Sign up today for a free trial unit to test in your application. Need some more convincing? Still have questions? Checkout the following C5 Resources for more information. Or better yet, contact us directly! We want to answer your questions. The Intel Compute Card is the new standard for smart devices, giving you the power of PC in an enclosure about the size of a credit card. The card contains a motherboard, CPU, memory, storage and wireless. This modular architecture allows you to easily change from one model to another. It requires no special ESD or handling which means the complete compute element can be installed or removed by the end user. Advanced status indicators enable non-technical staff to quickly determine if the cause of a system failure is due to an externally connected device or one of the major replacement SKUs of the system. Field repairs can be as easy as swapping out the Intel Compute Card, for computer function failures, or the C5 I/O expansion carrier, for I/O interface or power related failures. The Dual Mode of Operation implements electrical isolation to deliver true: "You Can’t Hack What Doesn’t Exist" security. You can now isolate a system on your network for third party service or outside support knowing they cannot physically access data or network connections as no electrical connection exists in that mode of operation. Finally a simple way to enable remote access to secure installations without creating additional security concerns. Specifically designed with strict HIPAA compliance requirements in mind, the C5 offers one of the most secure PC architectures available in the market. Three Dual Form Factor™ expansion slots can be customized to support a wide range of application hardware interfaces including SSD devices plus wireless LTE or LoRa adapters. Each slot supports either a mini-PCIe or a M.2 expansion adapter enabling support for legacy as well as future adapters. Third party adapters can easily be installed without any modification using the two low profile PCI slots for external IO connections. Now a single system can support a wide range of industrial I/O connections like PROFINET, EtherNet/IP, EtherCAT, multiple Ethernet, RS-485, or CAN Bus connections. The C5 features a space saving compact design with the same level of expansion and performance as other system form factors. 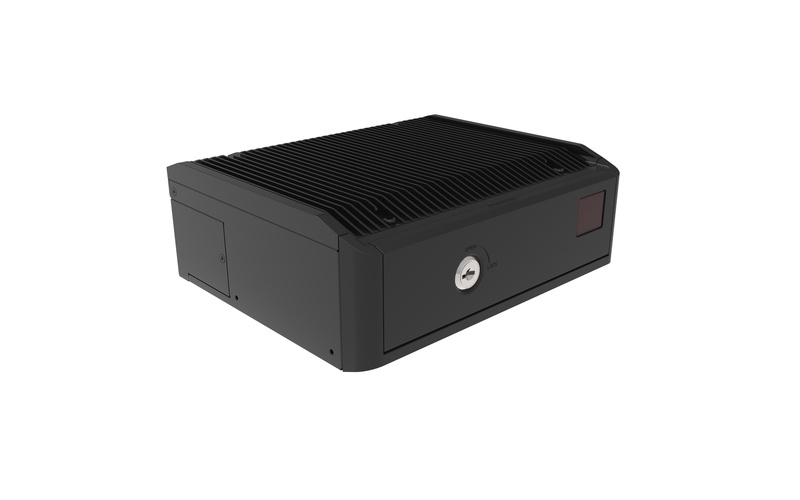 Today’s micro-ATX and mini-ITX form factor systems can be migrated to the C5 without a loss of function. The industrial BOX computer products limited expansion options are not present on the C5. With support for additional internal storage, expansion slots, wireless adapter support as well as media transfer device the C5 allows the maximum product performance and customization in a very small physical design. The modular design of the C5 includes the Intel Compute Card, system unit and external power supply. I/O and expansion don’t change if the system is updated to the next model of the Intel Compute Card. This allows for optimization of compute capability using the original C5 unit. The Intel Compute Card includes a full range of processing power ranging from Celeron to Core i5 vPro. The I/O slots on the C5 are designed with future changes in mind. 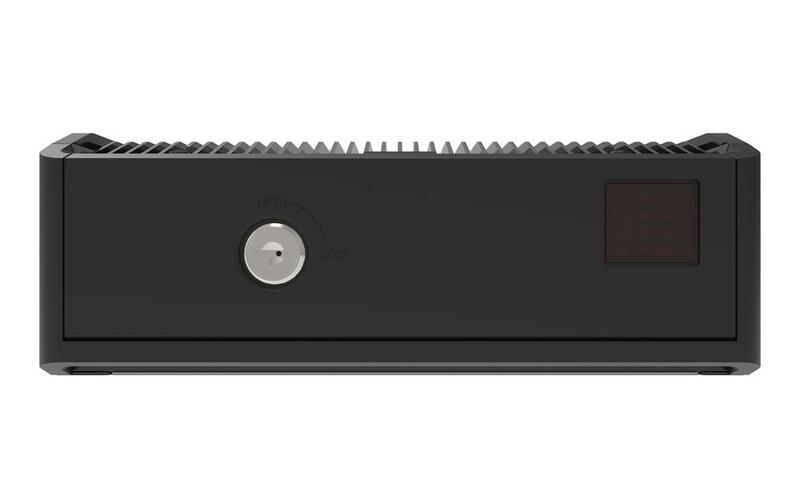 Logical slots support mini-PCIe or M.2, PCIe or SATA SSD on the same slot. Use mini-PCIe today and migrate to M.2 in the future with no change to the base system. The Intel Compute Card is a separate global regulatory approved device, eliminating the high cost of recertification associated with future upgrades. The average production life cycle for the C5 is 6 – 8 years. The combination of the Intel Compute Card with the low power design of the C5 I/O and high efficiency internal DC-DC power supply results in a power consumption rating of only 12Watts (CPU at tDP, Wi-Fi at max power, keyboard/mouse, no expansion cards). The power consumption can be locked into lower power mode as required. Each model of the Intel Compute Card comes pre-certified with global regulatory certifications. Manufacturers can easily upgrade to new models over time without incurring the cost or delays associated with recertification. Take the C5 for a Spin! Click and drag your mouse to spin the C5 for a 360 degree view. 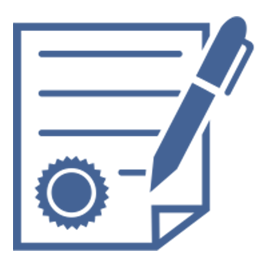 Here are a few resources where you can learn more about the C5 embedded platform and stay up-to-date with product news and events. At Contec, we love talking C5. We want your feedback, suggestions and questions. We'll put you in touch with a real, live C5 developer to tell you everything you want to know. Stay up-to-date on all things C5. Simply complete the form below and we'll make sure you don't miss a thing. Chassis support 2 low profile PCIe external expansion slot opening for expansion connectors.